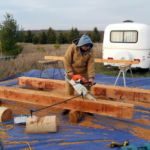 When you’re considering log home maintenance, think “gutters prevent rot.” Cleaning gutters can help protect your home. 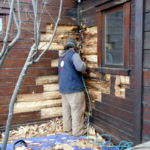 Log homes require routine maintenance. 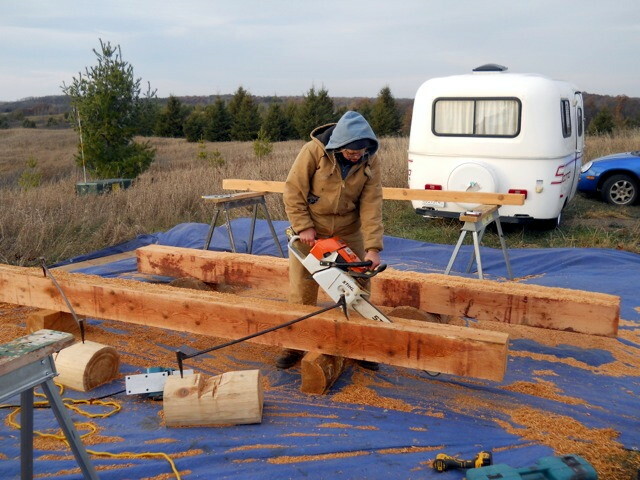 Now that it’s spring, it’s time to assess the needs of your log home or cabin. 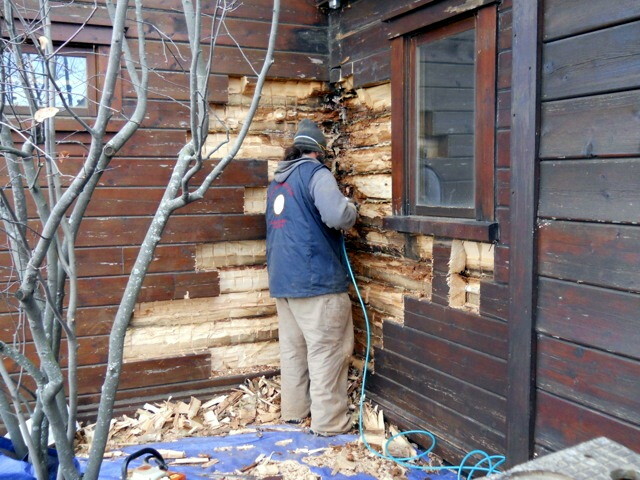 Many of these things can be handled by the homeowner. One particularly important maintenance task that requires attention each spring is cleaning out the gutters. 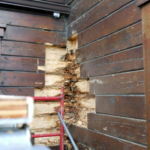 This can help prevent rot down the road. If gutters are not working properly, water can spill over the edge and defeat the purpose of the gutter. 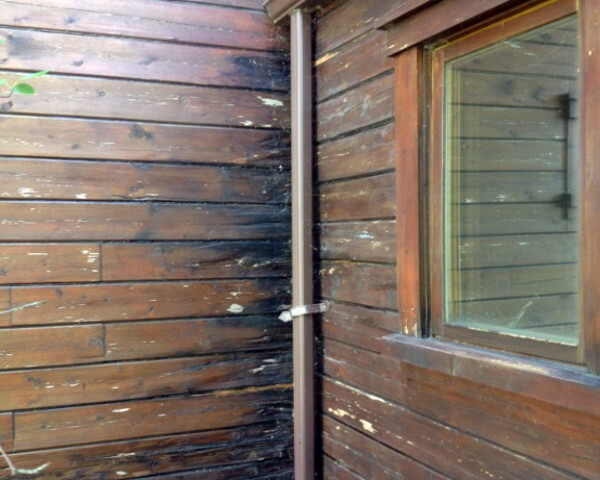 A clogged gutter can allow water to splash back onto the logs when it hits the ground or deck. Cleaning out the leaves and debris from the fall is important. Maintaining the gutters includes making sure there are no leaks, especially in the downspouts. 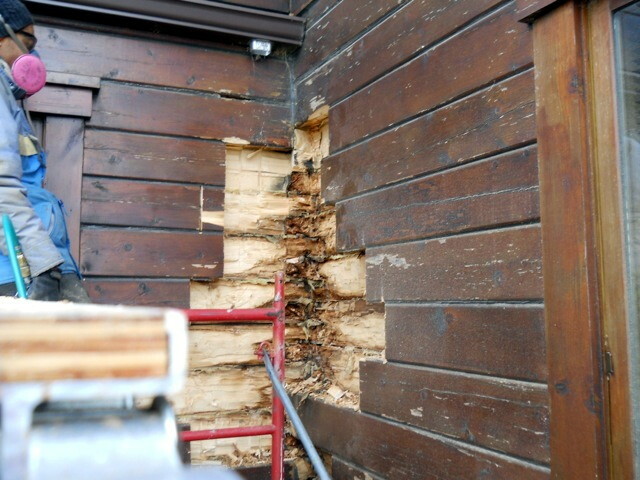 A crack in a seam on the gutter can allow rain to drain down onto the logs, which can lead to rot. If you have a deck where the rain off the roof drops onto the deck, consider installing gutters along this roof edge. 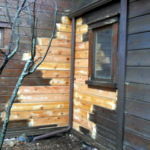 It will prevent water from continually splashing up on the lower logs and can prevent rot on your valued log home or cabin. 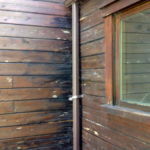 Prevent rot – keep gutters in working order. 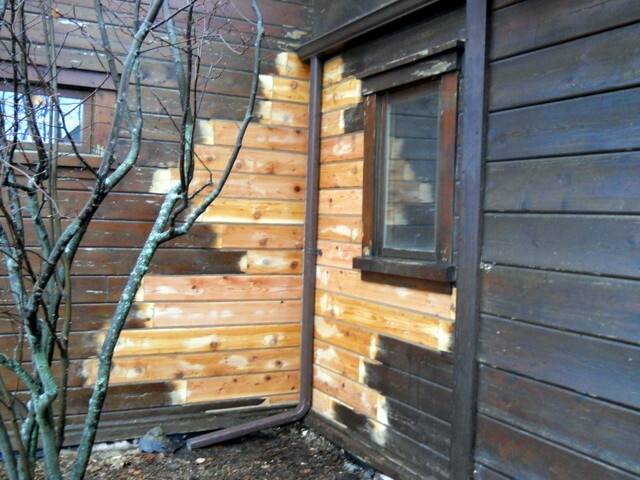 Does your log home have rot? Give us a call at 715-373-5744. We can help!